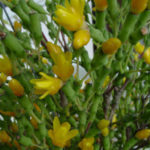 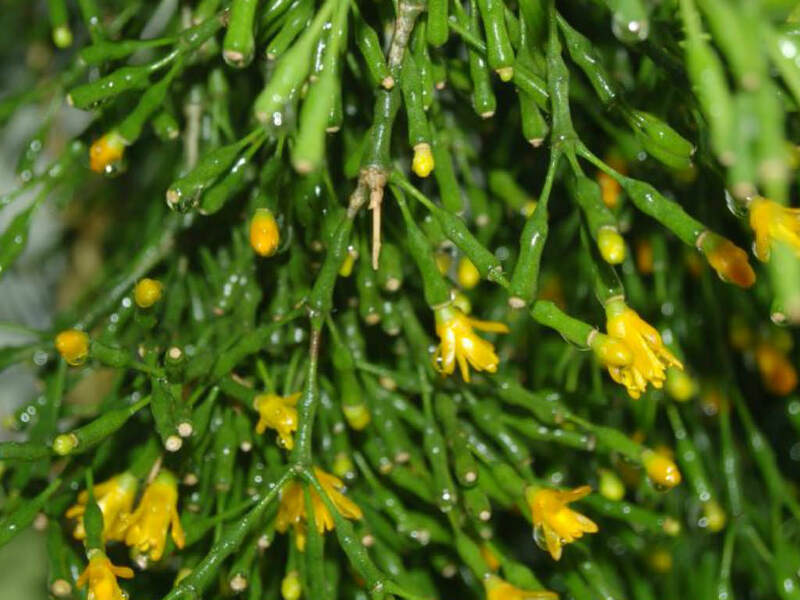 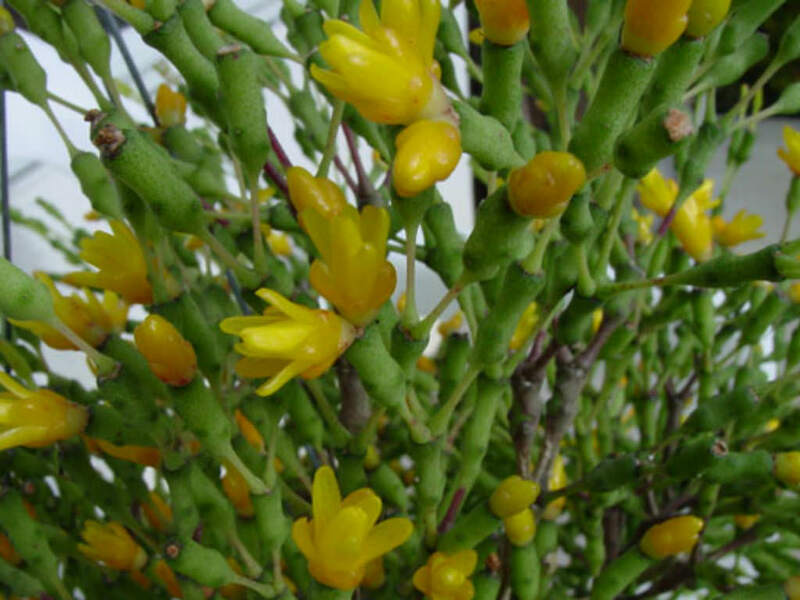 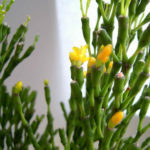 Hatiora salicornioides is a slender, erect, arching or somewhat pendent, bushy, cactus, up to 2 feet (60 cm) tall. 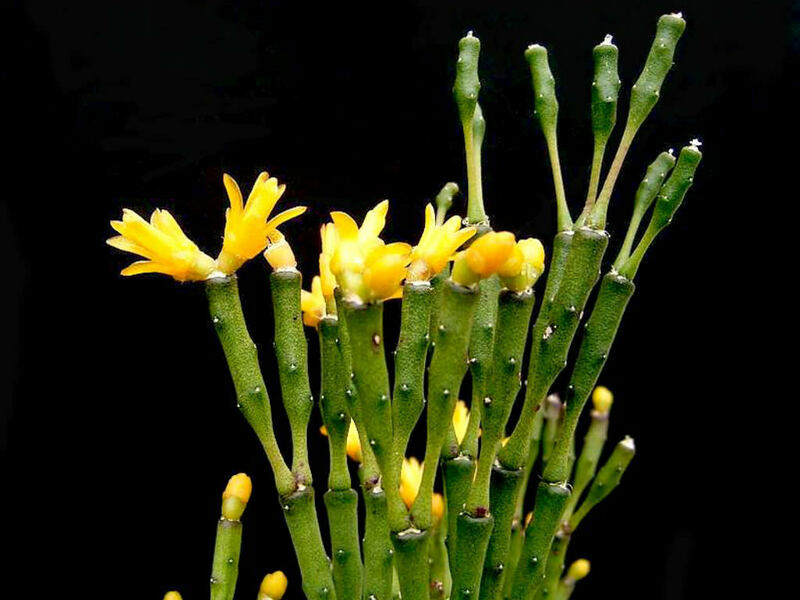 A stem consists of smaller segments, up to 1.2 inches (3 cm) long. 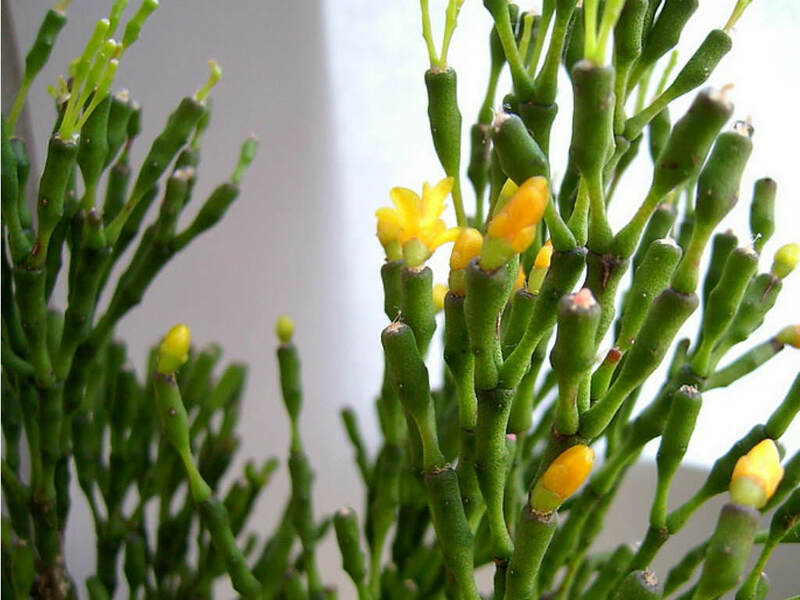 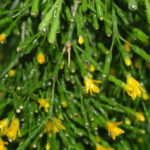 The flowers are small, bell-shaped, orange yellow in color, up to 0.8 inch (2 cm) long and in diameter.